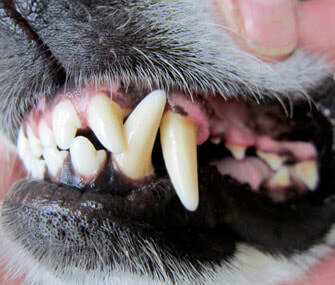 Your pet's oral health is as important as your own! Aside from routine dental cleanings with your veterinarian, there are many aspects to your pet's dental health. During the month of February, Elmsdale Animal Hospital is paying special attention to your pet's mouth! We will have special promotions and offers all month long. Call now to schedule a dental exam! Dental radiographs are an important part of your pet's dental procedure. They allow the Veterinarian to see what's happening below the gum line. This can be critical when deciding if and how best to extract a tooth. This dog's jaw was fractured due to extreme dental disease! There are SO MANY ways to care for your pet's mouth at home! Dental Treats - Who doesn't love a treat? ?